I think you can tell from the cover of this book that it’s very aptly named. Arapera Blank was one of New Zealand’s first bilingual poets and the first Māori writer to win a Katherine Mansfield Award in 1959. This extraordinary hard-cover book showcases her poetry, short fiction and essays written over thirty years, and includes photography from her Swiss husband Pius Blank. Both now deceased the book is a tribute to a glamorous aesthetic and vision for biculturalism and feminism. Arapera was born in Rangitukia on the East Coast of the North Island of New Zealand in 1932. Both her parents were Māori, of Ngati Porou and Ngati Kahungunu, and they passed Maoritanga on their children when Māori were on the cusp of being assimilated into Pakeha culture. Arapera’s writing represents this experience, as Māori transitioned from rural communities to the city. Loss of language and culture are central concerns, but there is also an optimism about who Māori could become in a contemporary context. Being highly dextrous in both English and Māori, Arapera articulated an emerging biculturalism. Her voice was also international, informed by her experiences in Europe and Asia over 30 years. Arapera died in 2002, a celebrated teacher, writer and thinker. 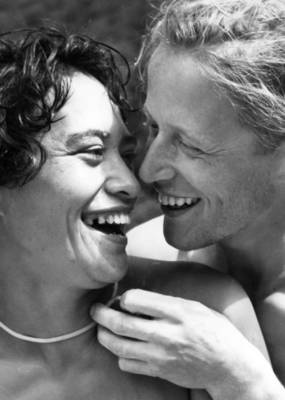 The book is about A4 size, hardback, and filled with beautiful photos taken by Arapera’s husband Pius Blank, a Swiss photographer who migrated to New Zealand in 1952. As their children Anton and Marino Blank say in the Foreword, these photos capture the romance and exuberance of their love. They are a perfect match for Arapura’s poems, short fiction and essays. There are political poems too, nailing the outrage against paternalism and rationalisations that determined the fate of colonised people. After watching father re-uniting with sons in prison shows the pain and anger that must be suppressed. Confrontation likens the loss of justice in a smug writ to the loss of just intent in the Treaty of Waitangi. These themes are echoed in the fiction pieces, which trace her journey towards identity. The first short story is entitled ‘Yielding to the New’ and features a girl called Marama leaving her rural home for university where, in the 1950s, she was at first one of very few Māori. A curiosity amongst those studying anthropology, she finds herself confused and unable to explain what Māoritanga is. She has lived in Māori culture all her life, but she feels her ignorance when she cannot describe or explain it. Back at home on holidays, she feels disorientated by her family’s expectations and their rejection of what she has learned. But time passes and more of her people make the move to the city and to higher education, an achievement that brings its own sense of loss. ‘The Visitors’ is a poignant story about the time some Pakeha visited a simple Māori home, furnished slowly and painfully over seven years with help from the Pakeha schoolteachers who lived next door. The unnamed narrator observes her mother’s anxiety about the deficiencies of the house, because she fears she will be judged a bad housewife. The twelve children have to be on their best behaviour, and a special menu is prepared as if it were Christmas. But the visitors, a Māori scholar and his wife, are delighted with everything they find, and they are respectful about the mother’s collection of ancestral ‘antiques’ which have no monetary value. Although she recognises that Mr Mills and his wife were so happy on their honeymoon that they did not care about anything except each other, still, this visit is the catalyst for the narrator to look at her own culture a little less critically. ‘One two three four five’ traces a little boy’s first day at school. His name is Whaimata, (and unlike the teachers in Patricia Grace’s story Cousins which I have just reviewed) this teacher doesn’t anglicise his name, although it is against the rules to speak the Māori language. This essay was written more than forty years ago, but certainly here in Australia, these issues are still up for discussion. I’d be interested to hear from New Zealanders if they’re still current there as well.